Hotel ibis Strasbourg Centre Petite France is situated in Strasbourg’s Petite France quarter, just 450 metres from Strasbourg Train Station. The air-conditioned hotel offers free Wi-Fi internet access and an on-site bar. Hotel ibis Strasbourg Centre Petite France is in Strasbourg’s Petite France area, just a quarter mile from the Strasbourg Train Station. The air-conditioned hotel provides free Wi-Fi internet access and an on-site bar. 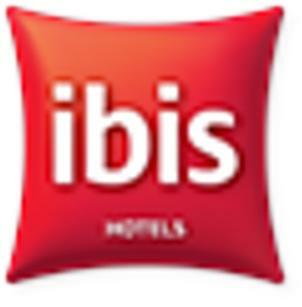 The guest rooms at ibis Strasbourg Centre Petite France include flat-screen TVs with cable and satellite channels. They each have a telephone, a work desk and a bathroom with a hairdryer. A buffet-style breakfast can be enjoyed every morning at the hotel and snacks are served at the bar. Newspapers and luggage storage are available for free on site. Strasbourg Cathedral is half a mile from the hotel and Place Kléber is just under half a mile away. The property is less than 450 feet from the Faubourg National Tram Stop and 10 miles from the Strasbourg Airport. Public parking is available at a location nearby (reservation is not needed) and costs EUR 12 per day. These are general hotel policies for ibis Strasbourg Centre Petite France. As they may vary per room type, please also check the room conditions.